I don’t participate in too many blog hops or giveaways but I just couldn’t resist this one friends! The grand prize is over $500! You could do lots of decorating with that cash! And some of my own favorite bloggers are participating. 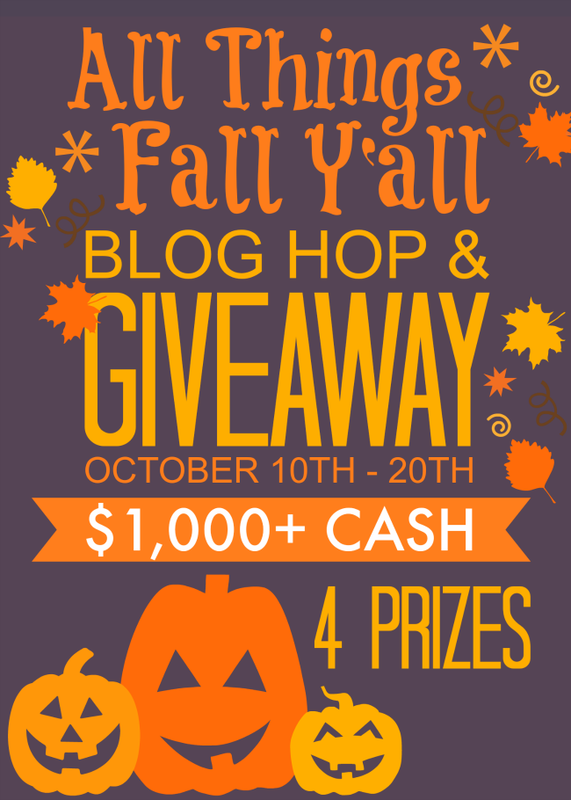 So it’s a great chance for you to hop from blog to blog and enjoy all their fall decor! Plus, it’s Friday so let’s have a little fun! 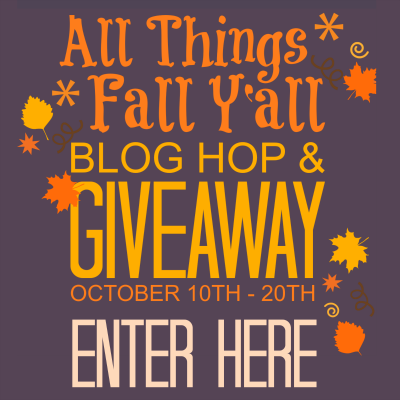 Welcome to the All Things Fall Y’all Blog Hop & Giveaway! Along with fabulous Fall DIY crafts, decor and recipes, we are excited to bring you the chance to win one of four CASH PRIZES totaling over $1,000! I love the colors, and knowing that the coming holidays will bring friends and family home. Thank you for the giveaway opportunity. hugs! P.S. I invite you to stop by and enter my giveaway too.